GAZA CITY (Ma’an) — | Israeli naval boats on Wednesday evening fired at and sank a Palestinian fishing boat in the sea off the coast of Rafah in the southern Gaza Strip. Witnesses said that army boats fired shells at a boat belonging to the al-Bardaweel family, completely destroying it in the process. People aboard the boat had jumped in the water by the time the shells hit, and as a result no injuries were reported. An Israeli military spokeswoman did not immediately return calls seeking comment. An Israeli army radio report, however, appeared to confirm the incident, adding that the fishermen had strayed more than six nautical miles from the shore. Since the signing of a ceasefire agreement that ended 50 days of fighting between Israeli forces and Palestinian militants in Gaza on Aug. 26, the Israeli navy has fired at Gaza fishermen more than a dozen times under the pretext that they had surpassed fishing zone limits. The Aug. 26 agreement stipulated that Israel would immediately expand the fishing zone off Gaza’s coast, allowing fishermen to sail as far as six nautical miles from shore, and would continue to expand the area gradually. The fisherman who have been shot at, and even at times detained by Israeli forces, have insisted that they were well within the six-mile limit. Prior to the recent agreement, Israeli forces maintained a limit of three nautical miles on all Gaza fishermen, opening fire at fishermen who strayed further, despite earlier agreements which had settled on a 20-mile limit. 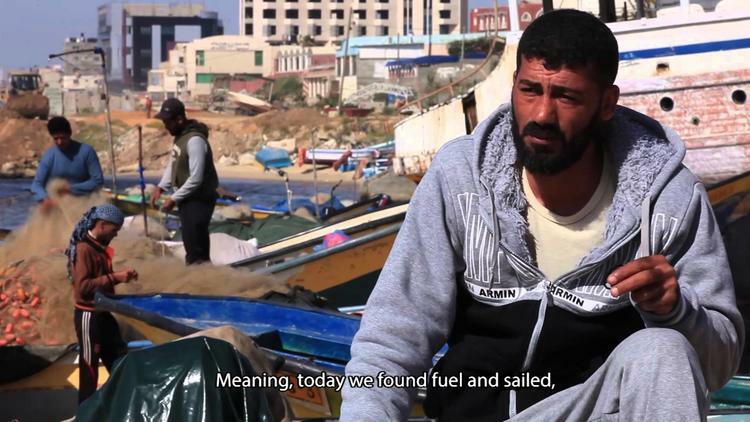 There are 4,000 fishermen in Gaza. According to a 2011 report by the International Committee of the Red Cross, 90 percent are poor, an increase of 40 percent from 2008 and a direct result of Israeli limits on the fishing industry. The Israeli blockade in place since 2006 has severely limited the imports and exports of the Gaza Strip — include materials necessary for building fishing boats — and has led to frequent humanitarian crises and hardship for Gazans.